PORT OF LOS ANGELES: Port Optimizer program is revolutionizing its infrastructure. GE will next be bringing software solution to the Port of Long Beach. A new video released by the Port of Los Angeles shows how the introduction of GE’s Port Optimizer program is revolutionizing the port’s infrastructure. 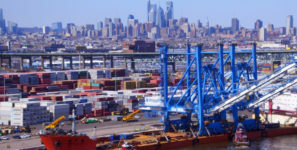 The port is looking to use the program to enhance the performance and predictability of their supply chain. The software, developed by General Electric Transportation, offers users real-time information from a variety of sources, allowing for better planning and predictability across the entire supply chain. GE will next be bringing the software solution to the Port of Long Beach.